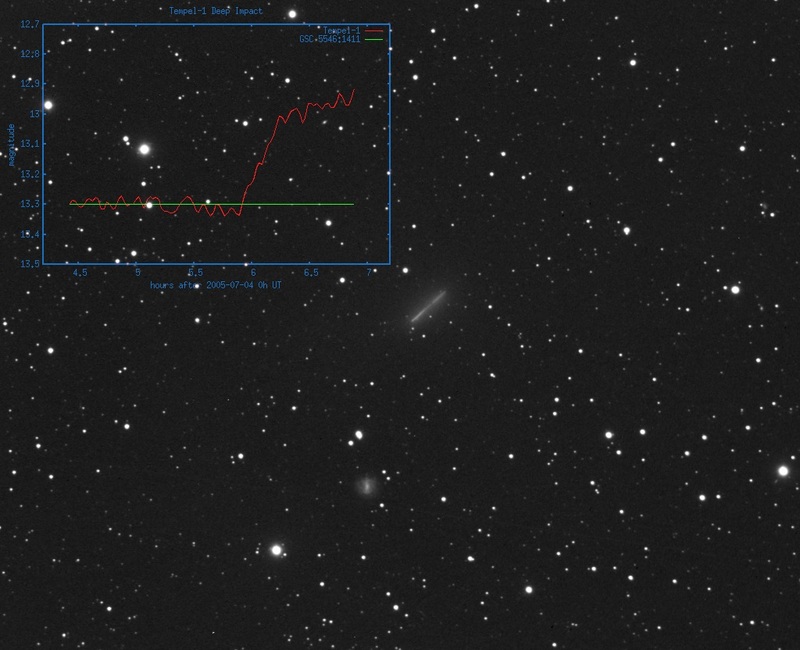 This image, composed of sixty 2-minute exposures, shows the path of Tempel-1 from 2004-07-04 04:23 UT to 06:51 UT. Starting position Ra=13 37 45 Dec=-9 32 29, ending position Ra=13 37 55 Dec=-9 34 50. The inset Tempel-1 light curve shows the effect of the impact. The galaxy shown is PGC 48179, mag=12.8.